If you are devotes Japanese foodie who love to venture into Sashimi, fresh salmon, teppanyaki and etc, you have read the right post. Ishin is a fine dining Japenese restaurant that located at Old Klang Road. 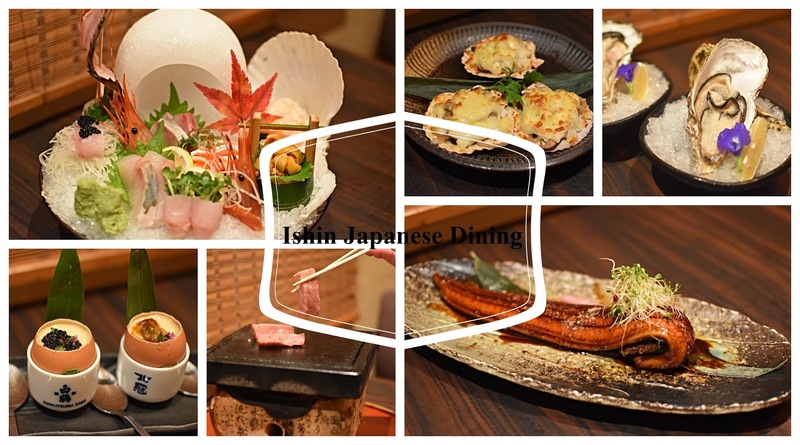 Ishin Japanese Dining serves authentic Japanese and Kaiseki style cuisines that will bring the best memories to your taste bud. Is you hankering for a taste of Japanese cuisine, the chef will spoilt you with freshest produce of the season. Love the restaurant setting whereby you can opt for tatami seating or private room. 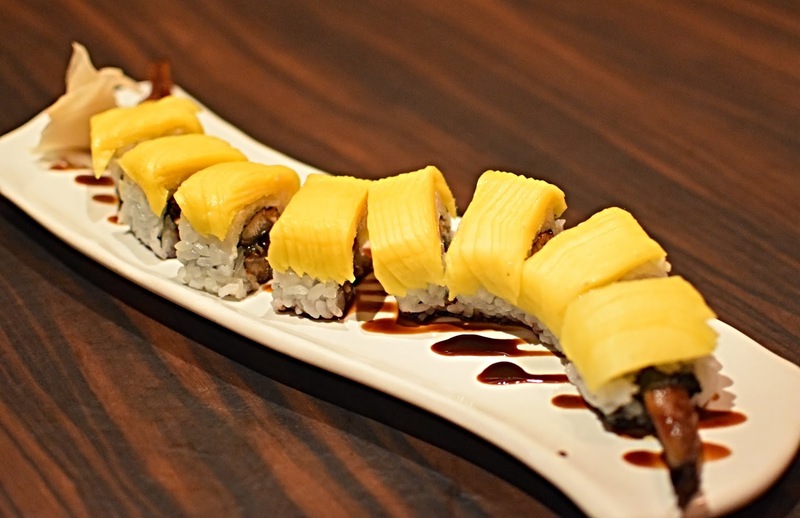 Let's me walk you through my food review journey with Ishin Japanese Dining. 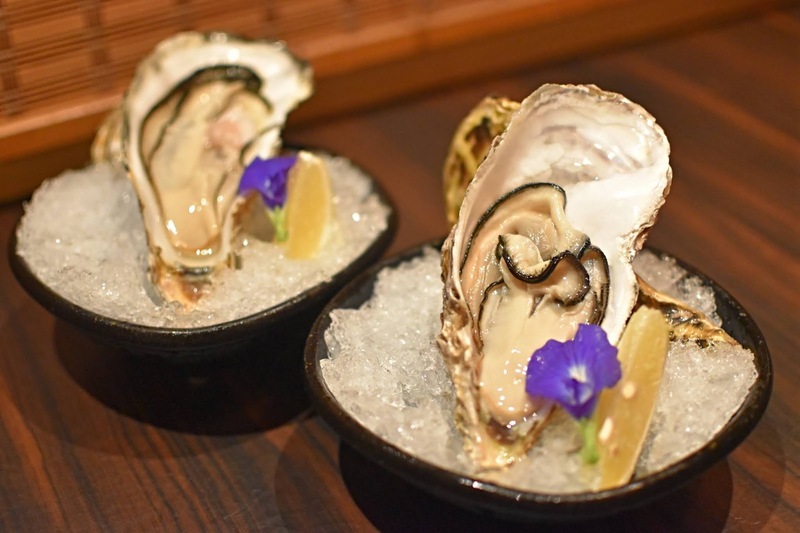 The first tasting platter greeted our eyes was a fresh Iwagaki Oyster. Fresh oysters served raw on ice and classically accompanied with some lemony spice seems like a gift from the heavens. No meal at Japanese dining is complete unless you have tried the Chef Special Sashimi. 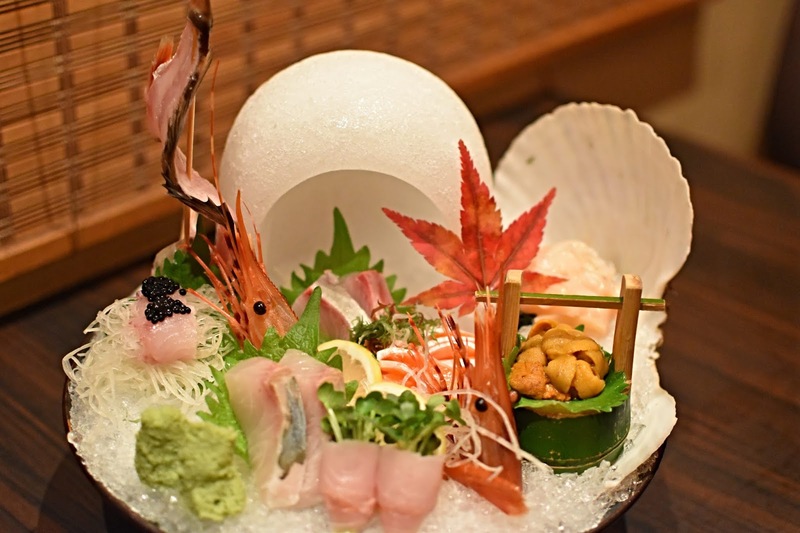 Chef Special Sashimi is creatively presented in a mini bowl. We were impressed by the freshness of the sashimi, which came in the ideal thickness that was kept consistent for all the sashimi slices. And the uni sashimi (sea urchin) was presented in a luxury way. Tairagai Yanagawa is Japanese pen shell clam that cooked in Yanagawa style. 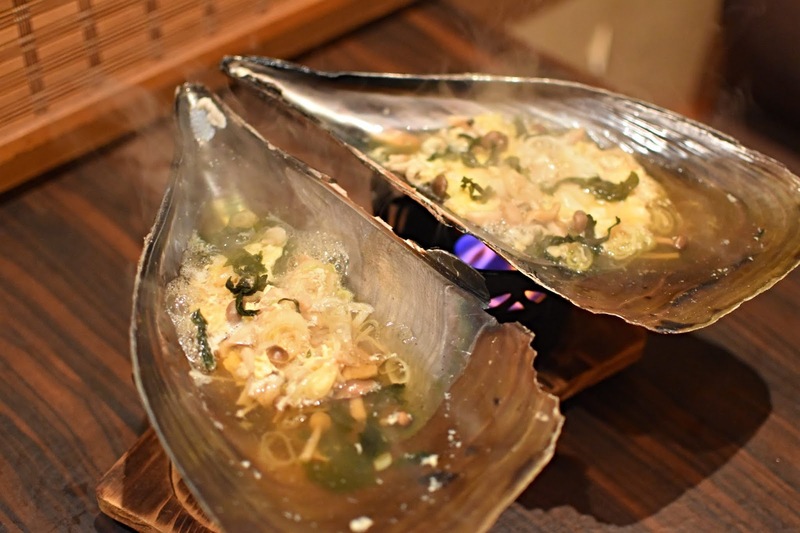 Love the firm and chewy testure of the clam served in Yanagawa sauce. 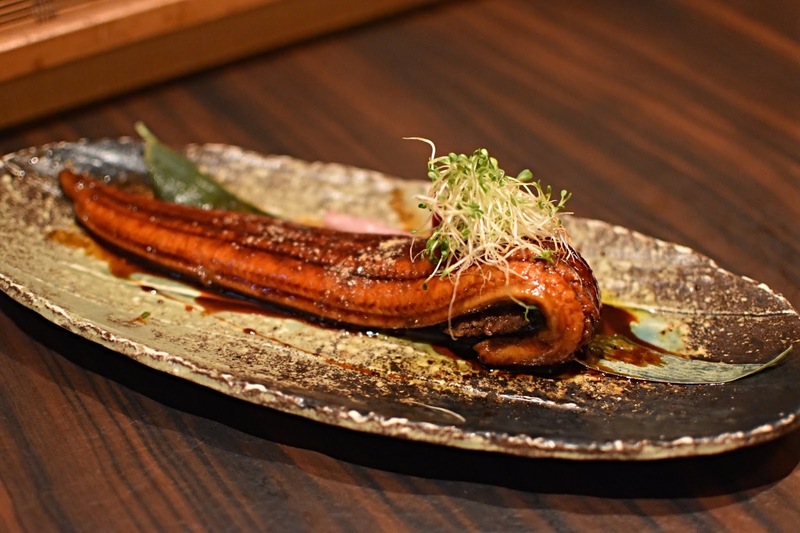 Sanma Shoyaki is well-known seasonal fish in Japanese cuisine. 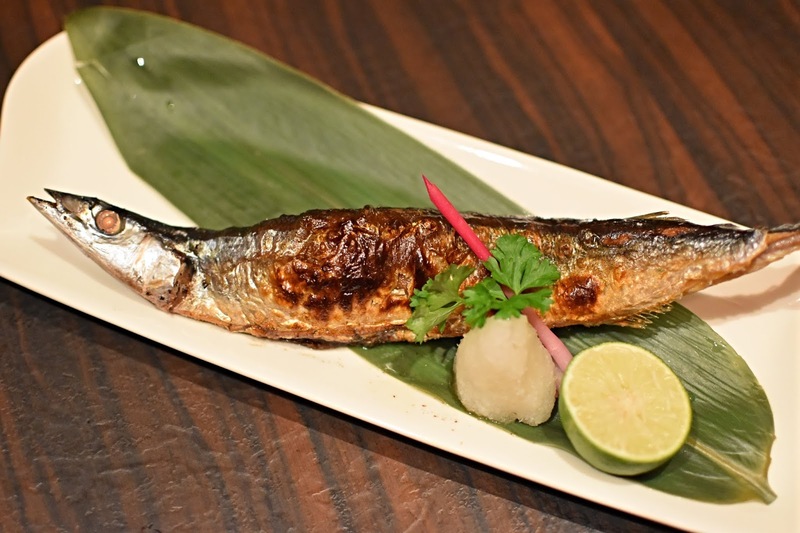 Sanma Shoyaki usually salted and grilled, served with grated daikon and sauce to intensify the flavor of the fish. I love their Hawaiian Roll which had thick slices of mango laid upon a maki with fried prawn inside. The mango is fresh and sweet enough to give the maki a refreshing taste but it doesn’t overpower or distort the taste of the fried prawn. These Yaki Udon tasted slightly different from what I had previously. 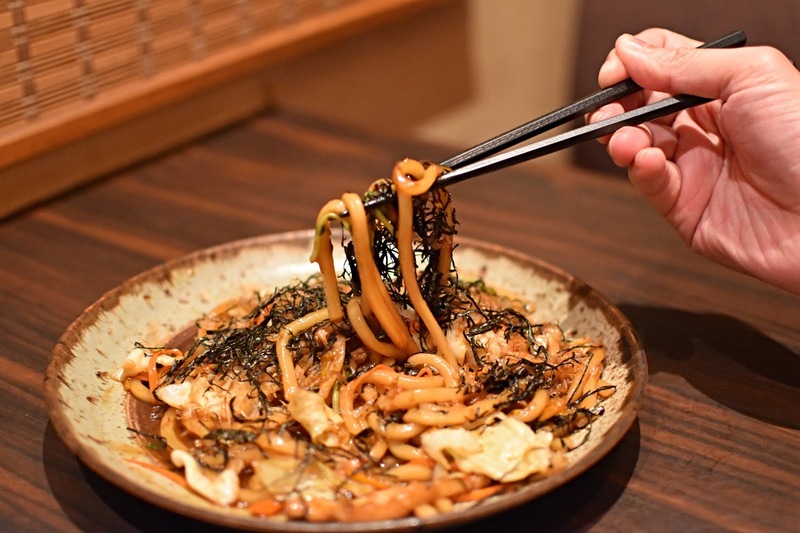 Yaki Udon is a Japanese style fried udon. The taste of the Yaki Udon quite balance and the udon is smooth and chewy. 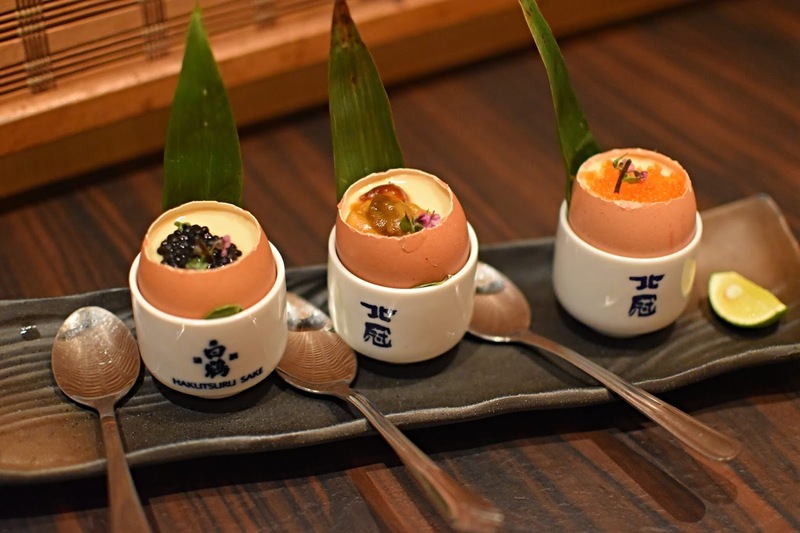 This is chef specialties as this cute mini chawan mushi serve in a small egg shell. 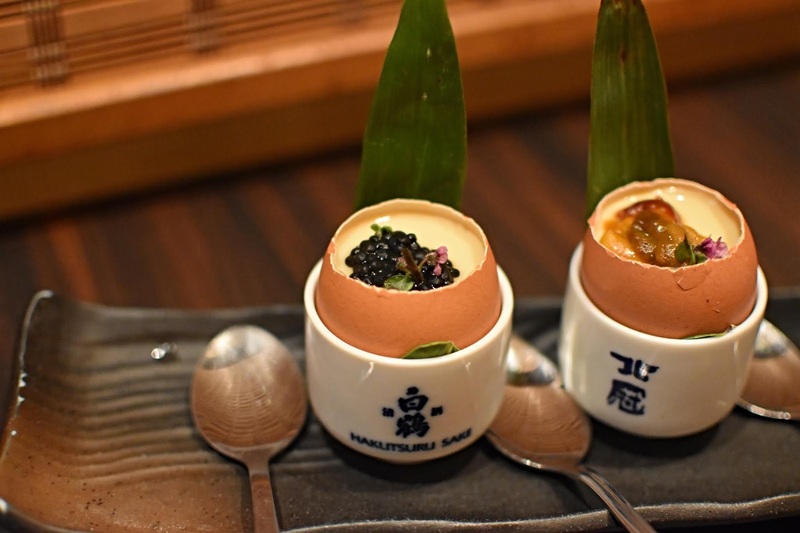 Diners can experience three different flavors (Tobiko, caviar and uni) of chawan mushi. I love the smooth texture of chawan mushi. I will definitely recommend you to try this dishes. 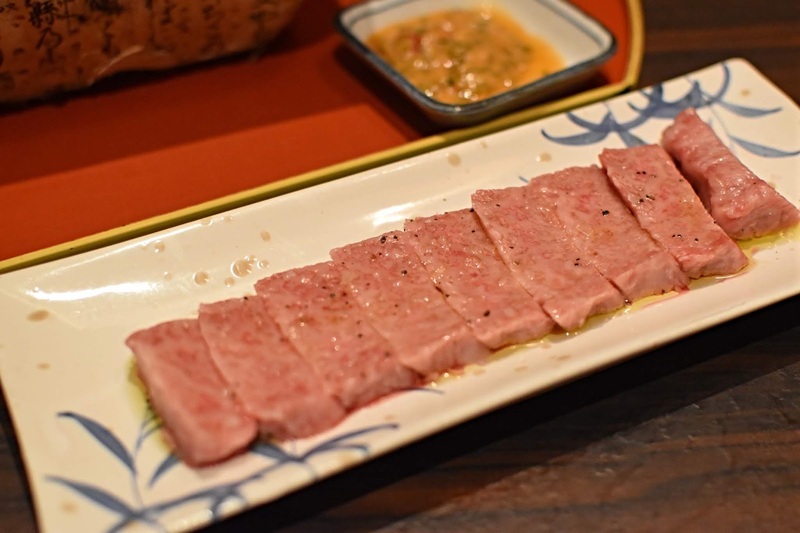 Soft, creamy and meaty flesh smothered in sweet-savory secret sauce pair well with the duck liver. 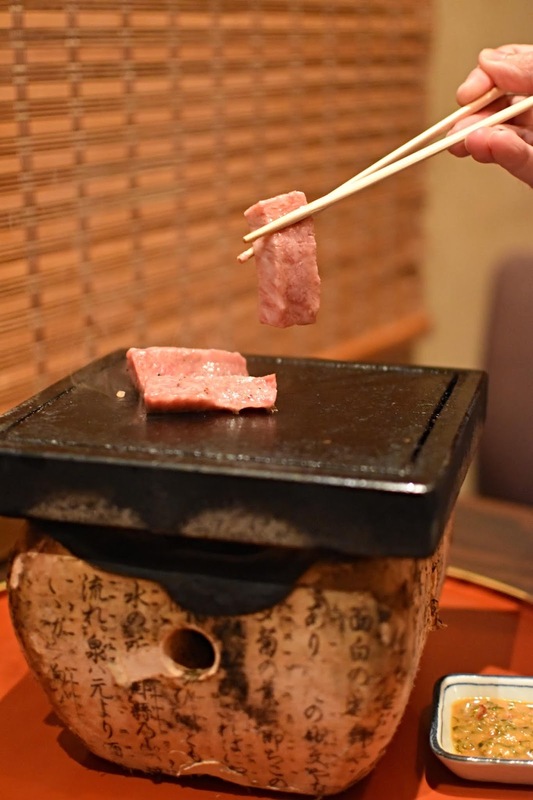 Lightly grill premium wagyu beef that served with secret recipes sauce. 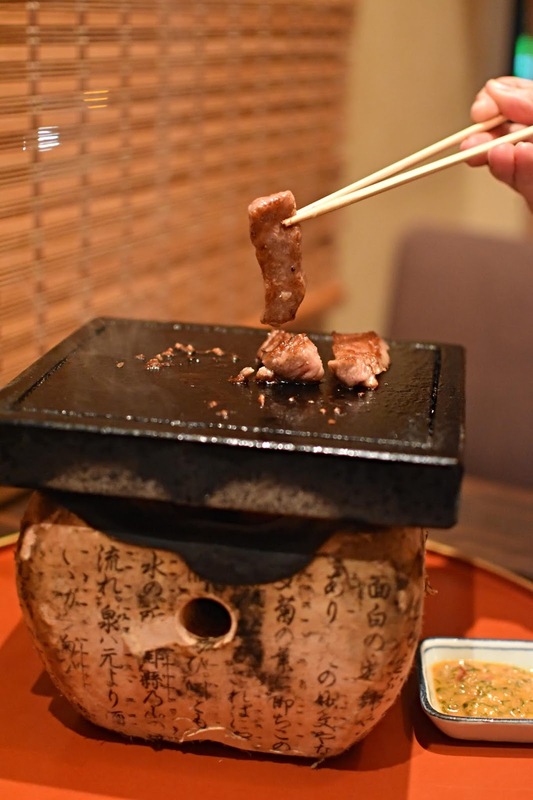 The wagyu is perfectly seasoned, juicy and tender, allowing you savor the experience with the unique dipping sauce. 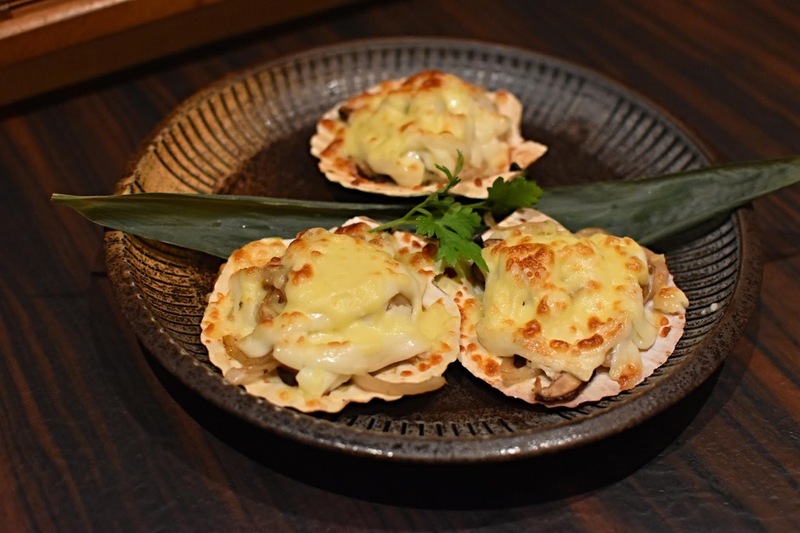 Hotate Cheese Yaki is grilled scallops with cheese. You won't go wrong with cheese as it compliment the fresh scallops. Definitely will ask for more. 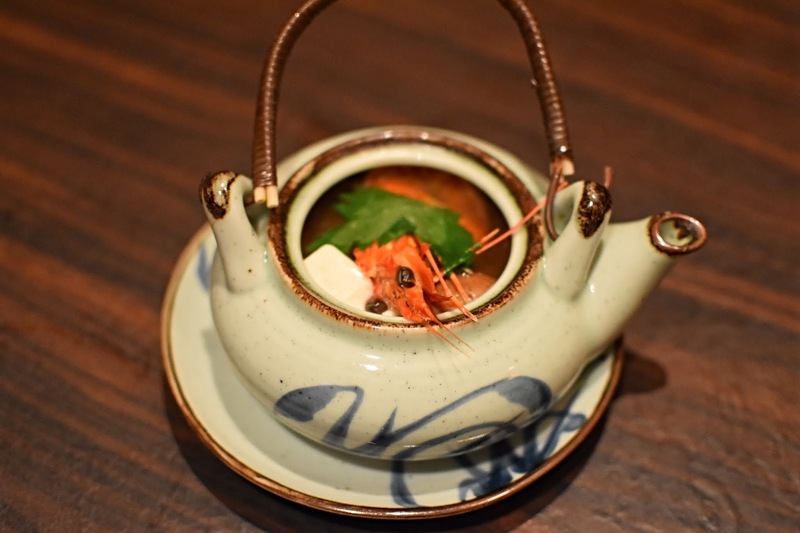 Dobin Mushi is an excellent teapot soup that give you a refreshing moment. The soup was flavorful and I enjoy eating the ingredients in the teapot after finishing the soup.